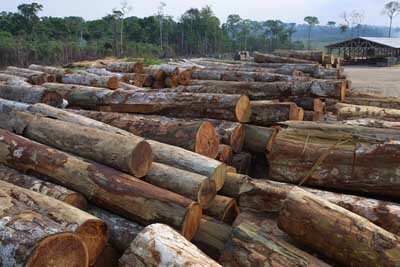 Logging practices in the rainforest are generally misunderstood. Our goal is to help explain some of the issues regarding rainforest logging and to help consumers make intelligent decisions regarding lumber products from tropical South America and Southeast Asia. 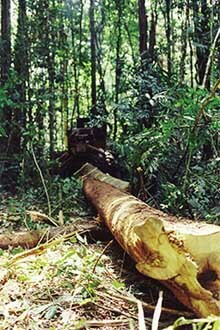 Tropical logging in the rainforest is NOT clear-cutting. Selective harvesting of commercially viable species is the only economically viable approach to logging. Clear-cutting occurs when land is cleared for farming and ranching. For timber extraction, selective harvesting of between 20 and 200 trees per 1000 acres is typical throughout tropical regions. On the supply side, in both Malaysia and Indonesia, buyers have found a suitable measure of reliability and responsibility in the areas of tropical forest management and resource-based economic development. Tropical forests in both countries are essentially public lands, managed and protected by their respective Federal and State Governments. Forest Certification programs have emerged in both Malaysia (through the FSC and the MTCC programs) and Indonesia (through the FSC, SVLK and LEI programs). Certification is very much market driven and is serving as a tool towards promoting legal, reliable and sustainable forest management. Certification is seen as a step toward ensuring the production of a continuous flow of desired forest products and services from the forest reserves. Further, certification is being actively pursued to ensure continued market access of Malaysian and Indonesian timber products, particularly in an increasingly environmentally sensitive market. The implementation of certification in Indonesia has been supported by many agencies and organizations such as The Borneo Initiative (TBI), WWF, Ford Foundation, ITTO, Tropical Forest Foundation (TFF), the Multi-stakeholder Forestry Programme (MFP) and many local consultants. The TBI has supported certification in 19 forest management units (FMUs) covering some 1.2 mil.ha. TFF has supported 7 FMUs and the FSC has certified six FMUs in a period of 12 months. The certified forest under LEI system amounts to around 0,4 mil. ha. of natural forests; 0.97 mil. ha. of plantations and 26.7 thousand ha. of community forests. 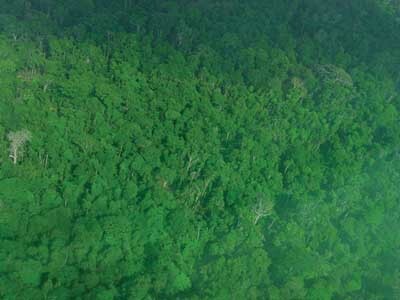 PEFC certification is new to Indonesia and PEFC recently inaugurated a national governing body called the Indonesian Forest Certification Cooperation (IFCC). This body is now developing, with stakeholders, a consensus based standard and guidance for forest certification. The Malaysian Timber Certification Scheme (MTCS) began operation in October 2001 using a phased approach due to the greater challenges encountered in managing the complex tropical forests. The MTCS has been endorsed by the Programme for the Endorsement of Forest Certification schemes (PEFC), the largest forest certification programme, representing more than 200 million ha of certified forests worldwide, with effect from 1 May 2009. MTCS is the first tropical timber certification scheme in the Asia Pacific region, and the second in the world after the Gabonese Forest certification Scheme, to be endorsed by the PEFC. The Malaysian and Indonesian government and policy makers decision to promote emerging Forest Certification Schemes offering a legal, reliable and sustainable supply situation will ensure that a reliable supply of Apitong in the trailer market is guaranteed for many years to come. The greatest danger is the expansion of agricultural areas to grow food crops and raise cattle. In order for farmers to cultivate the land for crops or cattle, clear cutting must be done. Government agencies such as IBAMA in Brazil and third party certification agencies such as the FSC, Forest Stewardship Council, require land management plans, which are based on selective and sustainable logging practices. Landowners and local people need a way to get value from their land. With reasonable market prices and consumer support for tropical lumber products, the incentive to convert tropical forest to agricultural use is minimized. It is a way of adding value to the standing forest. 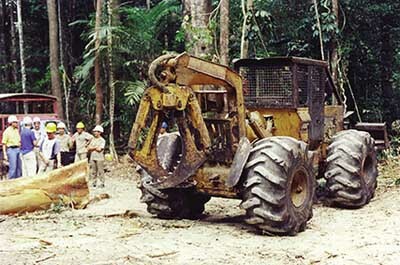 Companies logging in the rainforest must submit detailed forest management plans in order to extract timber. Each area to be logged is divided up into sections and trees are identified by specie. With the assistance of GPS, detailed maps can be created on computers and by hand. Seed trees of each specie are left so that natural regeneration may take place. Trees that are under certain sizes are also left in place so that they may be cut in the next logging cycle in 20 to 30 years. In many cases, government agencies will require that companies also replant areas that have been cleared in the past. 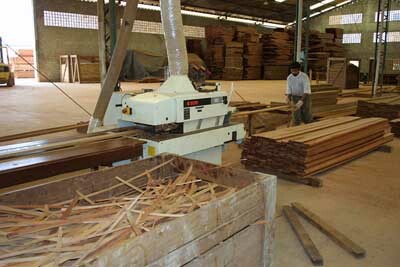 This is typically done with Teak or Mahogany plantations that can replace ranching areas. It doesn’t take long to turn a bare patch of land into a plantation forest; after only 5 years, the average height of these plantation trees is already 15 feet. Selective logging is THE best way to add value to the STANDING forest resource. People live in the tropical forest regions of the world and will use the forest resource for their livelihood. The wood industry is well positioned to play a key role in helping to preserve the tropical forests by providing value and jobs without chopping the forest down. We at Nova USA Wood Products and TrailerDecking.com offer a wide variety of Apitong products for the trailer and truck body industry. We purchase only the best materials from reputable mills that place and emphasis on quality and delivery. We are also one of the few suppliers who have overseas inspectors in place to ensure that material is thoroughly checked before it departs the mill. This final inspection ensures that you get exactly what you ordered each and every time. We certify all of our trailer decking products and warranty them against defects in workmanship. Contact us for a quote today.